You hear/read stylists recommending opposites (leather & lace, hard & soft, plaid & floral, black & white, etc.) to create interest in an outfit. 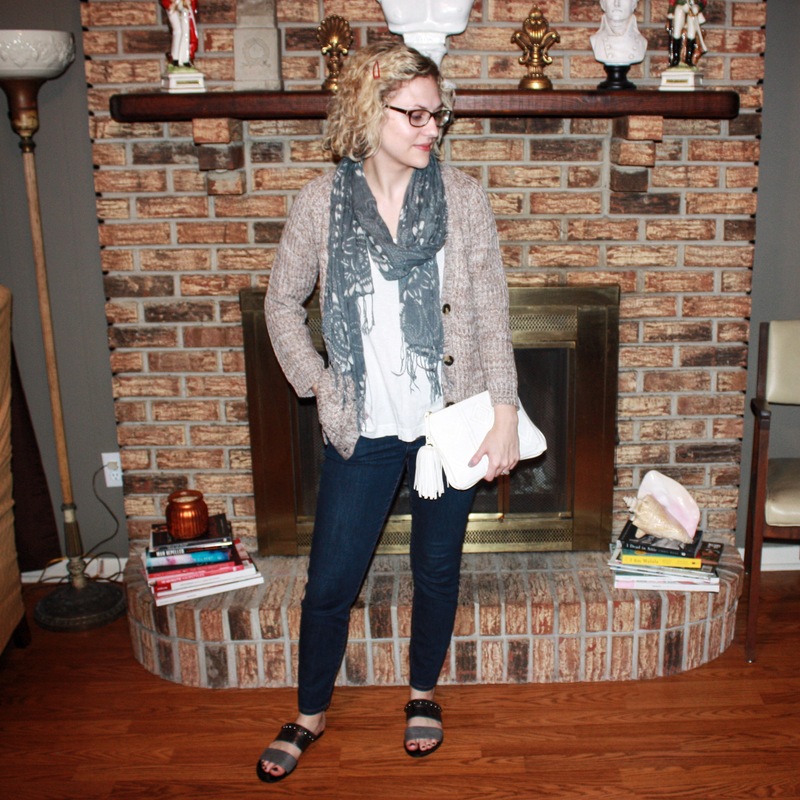 Enter the opposites in today’s look: edgy gunmetal sandals and a cardigan Mr. Rogers would envy. You don’t see me in glasses too often, but after a long week, sometimes my eyes need a break from the contacts. 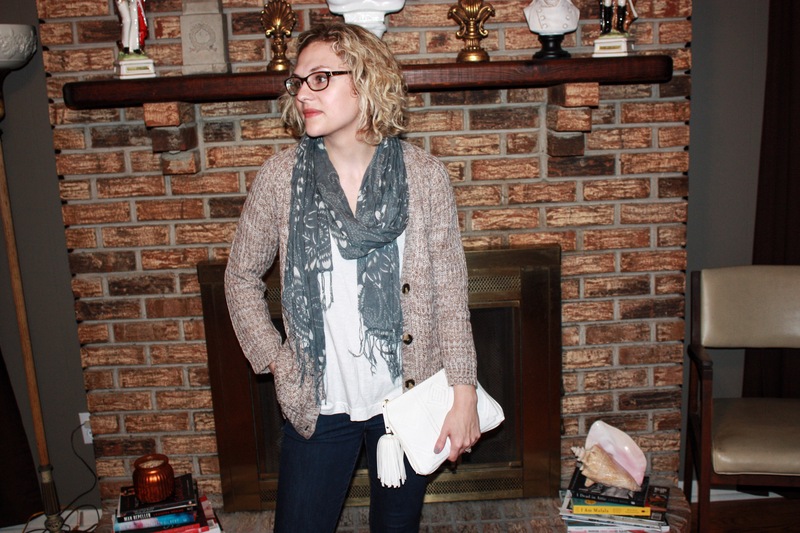 These Fossil frames make a stylish statement and do their job. 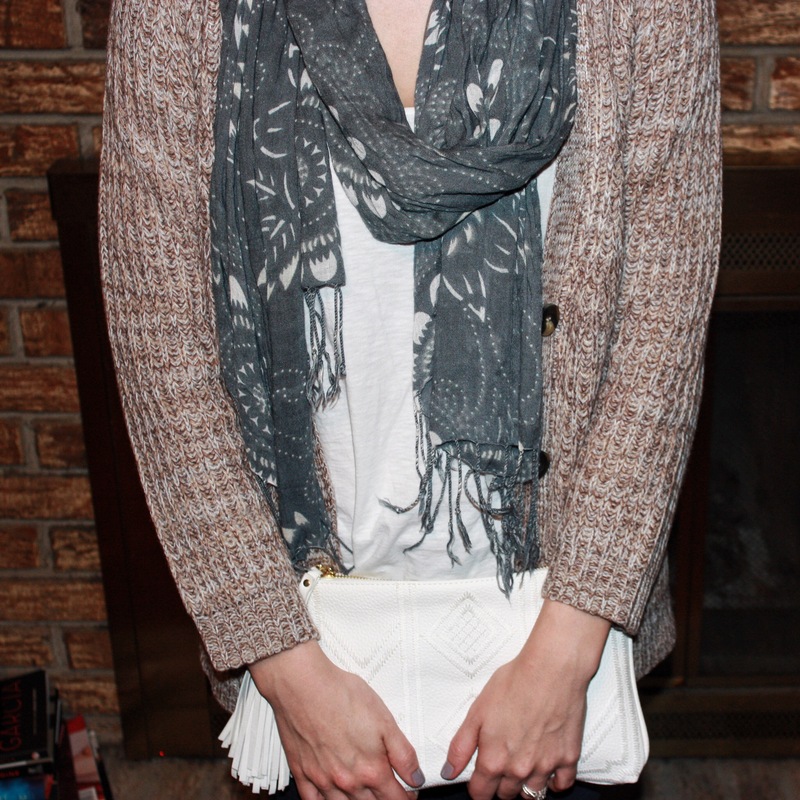 I kept the look fairly laid-back with a white tank, dark skinny jean, and bluish grey scarf. 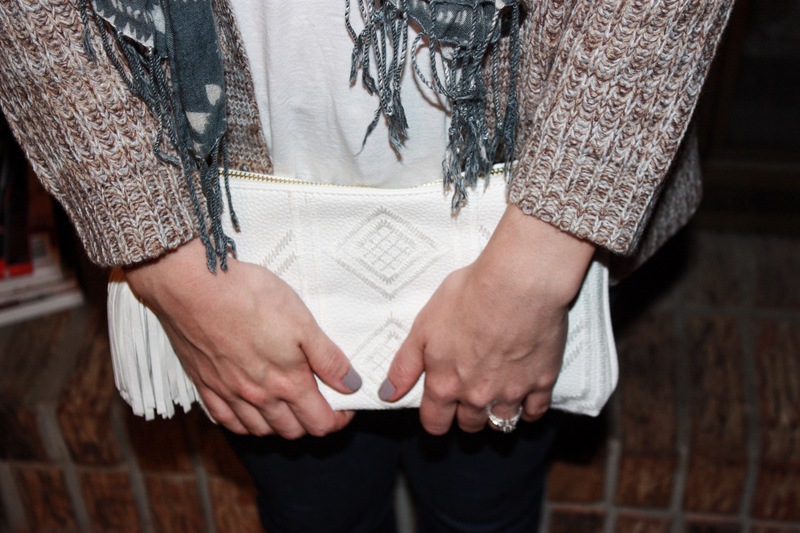 The white clutch bag is from Target and has been my go-to here recently. Thanks for stopping by. Hope you enjoy the rest of your weekend!